Probably my favourite rail project occurring at the moment, due to the sheer scale of the project! they've installed kiosks showing the animations you can get on youtube at F'cray station: http://www.regionalraillink.vic.gov.au/news. Anyone seen it / do they have any other useful info there? Yep saw them the other day. At the risk of missing my train, I excitedly rushed over and had a play. They basically contain the animated renders of how the stations will look after the upgrade. Has a separate link for each section of the RRL. I ended up catching my train so didn't get to look through all of it, will do and post next time. Just went and had another look, and was as I thought - just the animated renders of the upgrades for the Footscray - Deer Park section. You can see these videos on the RRL website. Top shot of The Quays in the background! Never realised just how impressive this construction effort is. How many people are working on this project? Awesome progress in just a year. Will the RRL actually be one of the few major projects to finish early, and dare I say it, on or even under budget? It gives me some hope I might be able to catch a train on the Melbourne Metro before the decade is out! Looking like it will be. If it does actually finish before scheduled date then the PMs have over estimated and question is will it actually be cheaper or will the contracts keep the cash? Amazing Year On Year comparison! Restored my faith in this city, not that I lost it in the first place. Melbourne Metro, YES WE CAN! From what Ive heard Terry Mulder basically decreed that they were to work extra hours (ie more line closures) to get it done early and thus make the government actually look like they've been doing something over the last 3 years. I can't imagine the trade off for that would be a lower pay day. So i'm tippin' the contracts are keeping the cash. I understood that most big state infrastructure projects these days were set up such that, in the event that projects come in under budget, both the contractor and the state reap part of the savings. not across the mechanics of these sorts of cotnracts, but it's meant to incentivise budget and time savings for both parties. The progress is pretty enviable. It seems these sort of huge projects only ever work out if each of the big two parties contributes in some way. For RRL to work, it took Labor to declare and start the project, and the Libs to carry it out and finish it without going overtime and overbudget. It seems every major project Labor carries out turns into a shambles (Myki, desalination, etc). And on the other hand, the Liberals seem to have an ideological hatred of public transport so will never invest a dime to start a project. We need Labor's political will and the Liberals' good project management to get Melbourne Metro done! Victoria's biggest public transport project, the $4.8 billion Regional Rail Link, will not truly achieve its aim of untangling the tracks currently shared by Metro and V/Line trains, because of a cost-saving decision made during the final months of the former Brumby government. Due to open next year, the 45-kilometre Regional Rail Link between Southern Cross Station and west Werribee is the state's biggest rail project since the City Loop was built in the 1970s. It will separate Metro and V/Line trains, giving each operator its own dedicated tracks through Melbourne's west and removing rail bottlenecks that cause delays. But cuts made to the project plans a few months before Labor lost the 2010 state election have compromised that outcome, leaving metropolitan and regional tracks to intersect at a key junction just north of Sunshine station. Still trying to figure out what the news is in that piece. The Bendigo line was always going to remain conflicted with Watergardens (And now Sunbury)... - complete separation would require at least one more track all the way to Watergardens and Sunbury? True. However I assume they are talking about the junction/branch that goes out to Ardeer/Deer Park/Melton/Ballarat, just north of Sunshine. Still, this was a decision taken by the previous government 5 years ago, and deemed not important enough to be changed by the current government, so i can only assume the volume of extra trains coming through this 'pinch point' due to the RRL wont actually be high enough to create a bottleneck. Also I assume they will have new high speed signalling here. They can always build the required overpass when electrification to Melton happens. So agree, non story here. Couldn't get that close, and only had my phone so zoom was crap. 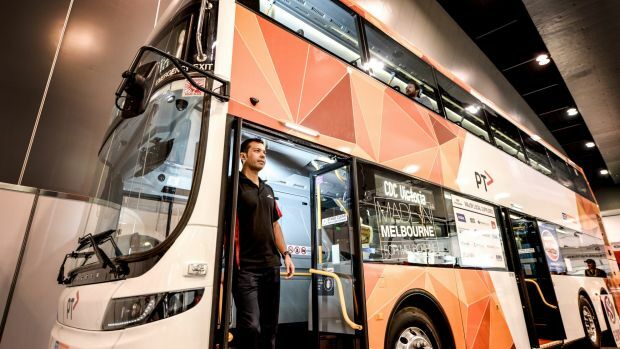 Double-decker buses: London has them, Hong Kong has them and next month Melbourne will get them too. Or rather, it will get one double-decker bus initially, operating in tandem with the new Regional Rail Link, with the prospect of more buses to come in future if there is enough demand. Public Transport Victoria is considering using the high-capacity bus to shuttle passengers between brand new railway stations at Wyndham Vale and Tarneit, which will open on June 21, and stations on the Werribee line. ^^ Most would have worked it out already, the headline above is wrong. 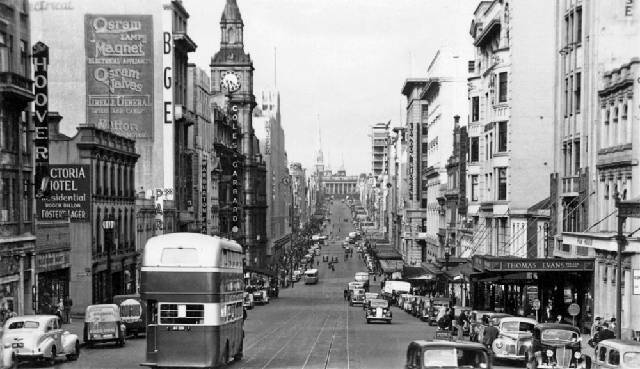 Melbourne had double-decker buses servicing the Bourke Street route between 1940-56. 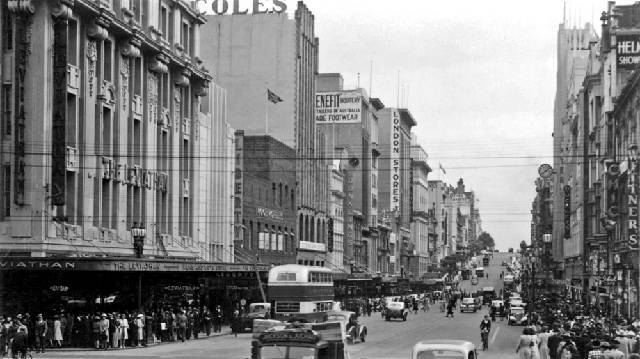 They replaced the cable trams in 1940 and then were themselves replaced by electric trams in 1956. Minister for Public Transport, Jacinta Allan, today released the timetables for the much anticipated 21 June opening of Labor’s $3.65 billion Regional Rail Link project, Melbourne’s first new major rail line in 80 years. The new timetable adds 200 services every week between Geelong and Melbourne, including trains every 10 minutes in the morning peak and every 20 minutes off-peak on weekdays. This delivers a key Andrews Labor Government election promise. These services will run through new stations in Wyndham Vale and Tarneit – some of the fastest growing communities in Australia – linking these boom-suburbs to the rail network for the first time. The new route for Geelong trains will also deliver benefits for commuters on other lines with two extra peak hour services on the Werribee Line and four extra peak hour services stopping at Bacchus Marsh. The multi-billion dollar, Labor-funded Regional Rail Link (RRL) project has taken out two more major awards after winning Infrastructure Australia’s Infrastructure Project of the Year in 2014. In April RRL took out the 2015 Gold Quill Award for Excellence in Community Relations for their work during nine major rail closures undertaken over the course of the five-year project. RRL also took out the Australian Construction Achievement Award 2015. Awarded by the Australian Constructors Association and Engineers Australia, the award is one of the most prestigious awards in the Australian construction industry. I've renamed this thread from Regional Rail Link to Vline & Regional Rail in Vic. Looks like cash is about to be splashed on the regional network in this budget - Age & HUN reporting $1.4 bil. For reference the first round of regional upgrades in the Bracks/Brumby era was ~$750mil and saw all the lines upgraded (or altered) and the introduction of the vlocity fleet. Speed improvements appear to be part of the upgrades, no specific mentions on what level they'll be raised to. Echuca and Warnambool have been singled out.